Last updated by Mark Jala at July 6 . You may not have seen a Scanpan CSX cookware set review before. Scanpan cookware is becoming very popular and rightfully so. Scanpan CSX cookware is a 5-ply brushed stainless steel exterior, aluminum layers on the inside and stainless steel as the cooking surface. It has a clean contemporary look. Glass lids have stainless steel edges and are vented. 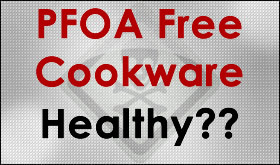 A great feature of Scanpan cookware is their PFOA free nonstick surface. It is a high quality healthy nonstick surface made of titanium and ceramic. Scanpan CSX cookware is induction capable, even though some reports show it is not. Scanpan is made in Denmark. New cookware has a way of bringing out hidden creativity in people! Perhaps you have some old scratched nonstick cookware and concerned over health reasons. Maybe they are slightly warped and don’t lay flat. Perhaps you have mismatched cookware or some that is chipped or peeling. Maybe yours sticks too much, doesn’t perform the way you would like it to, and perhaps you want a cookware set that is healthy. If you are like me, I have some cookware that has been passed down from my parents and other family members. I have a little bit of everything. I know I get tired of some pieces that are warped and don’t lay flat. It would be nice to have cookware with comfortable handles that stay cool, heats evenly and all the way up the sides of the cookware, and maybe even uses less heat. And it would be great if it could last for many years to come! Healthy cookware sets tend to be stainless steel, cast iron, enameled cast iron, stoneware or clay. Stainless steel is common and popular because they can be put into the dishwasher and the cooking surface does not leech into the food. I reviewed a lot of cookware to come up with the one cookware set that is better than all the rest. I am very comfortable with my selection, even after looking at cookware from All-Clad, Le Creuset, Staub, Emile Henry and Calphalon. Cooking enthusiasts will like the pasta insert for making and draining pasta quickly. With 3 skillets, one being nonstick, a cook can whip up any kind of meal quickly. It’s hard to find anything wrong with this cookware. If anything, I wish it had a steamer insert. The pasta insert can work but one has to watch the water level. Cast stainless steel handles Easy to hold. Stays cool. Dishwasher safe Easy to clean. Cookware Christmas gifts are well received and here is my Christmas gift giving guide. I do a good job of stress testing cookware. I’ve discovered cookware that is durable and useful in the kitchen. I only recommend cookware as gifts that are functional or something I would use. The Christmas Gifts listed below is cookware or related kitchen items I use or recommend giving as a gift and the reason why I recommend it. As a cook, I love to receive cookware and give it as gifts. With Christmas around the corner, this is my “Christmas Gift-Giving Guide.” The prices from Amazon.com are always up to date. Nonstick frying pans wear out. Quickly. It’s always better to replace them before they get too many cuts or peeling. I prefer the 10″ and 12″ combo’s as they are more useful. Here is a quick listing of NonStick Frying Pan Combos. Here is an All-Clad combo I use myself and am VERY happy with. Comes in 10″ and 12″ nonstick. VERY good quality. This is a 2-item combo. Each are great, but when given as a gift together, the possibilities are endless. The Nordic Ware baking sheet is very durable. When friends see this they think it’s commercial grade. It is. I love it. The CIA Masters Collection cooling rack is also commercial strength and very strong. Lodge makes terrific enameled cast iron cookware rivaling the French Le Creuset or Staub and at significantly less money. A 6qt Dutch Oven is a versatile piece of cookware that can be used on top of the stove or in the oven. Lodge enameled cookware makes excellent Christmas gifts! They come in a variety of attractive colors and are a steal at these prices. The price varies depending on color. Pick from a variety of colors. HIGHLY reviewed! Le Creuset enamel cast iron is beautiful and functional. The rich color and even heating characteristics makes this 1.5 quart oval baker a go-to piece of cookware. Baking potato au gratin, warming left-overs, or cooking a small roast is easy with this oven to table cast iron oval baker. A perfect Christmas gift. All-Clad is the absolute best American stainless steel cookware manufacturer. If you need to get a gift for someone you know who likes to cook and is adventurous, this is a fantastic gift! This is the new D5 brushed stainless steel outside. It has 5 layers to evenly distribute heat. You not only need but also can’t beat stainless steel skillets for saute and deglazing sauces. I recommend folks who want a nonstick cookware set to also get a stainless steel skillet for sauteeing. The 10-piece set gives you all the necessary pieces. No, it is not cheap. If you want the best quality, look no further. When it comes to healthy or eco-friendly cookware, I love Scanpan. While the surface still uses PTFE in the manufacturing process it is PFOA free and uses an environmentally friendly cast aluminum core. It is a very good nonstick surface given it does not have the PFOA’s. Best of all, it is also dishwasher safe. Scanpan CTX 12-3/4-Inch PFOA Free Fry Pan. I love Emile Henry Flame Top products. This is the only clay cookware that can be used on the stove top as well as in the stove since the old Cornflower Corningware cookware. It is pretty, useful, and the clay surrounds the food with a steady even heat that is great for braising or slow cooking. This Dutch Oven is very versatile and makes a great presentation from stove to table. Best of all, it looks like an enameled cast iron piece, but it doesn’t weigh a ton like cast iron! All Emile Henry products are wonderful. Here is the Emile Henry page. Every home cook needs a good knife set. Sharp knives are safer. This Definition knife set includes 3″ Paring Knife, 5″ Serrated Utility Knife, 8″ Bread Knife, 5″ Hollow Edge Santoku, 8″ Chef’s Knife, 4x 4.5″ Steak Knife, 9″ Sharpening Steel, Kitchen Shears, and Hardwood Knife Block. This machined knife set is beautiful and perfectly functional. I love stainless steel for cooking. It is healthy, durable, easy to clean, and dishwasher safe. As I’ve stated before the best brand is All-Clad. Cuisinart Multiclad Pro is next on this list. As you see, All-Clad is premium quality and premium priced. For a near performance equivalent, the Cuisinart MultiClad Pro is unbeatable for performance and price. I use Cuisinart MultiClad Pro and love it. To complete the set I recommend the All-Clad nonstick skillets above or the Scanpan skillet to provide a very complete and dishwasher safe cookware set.